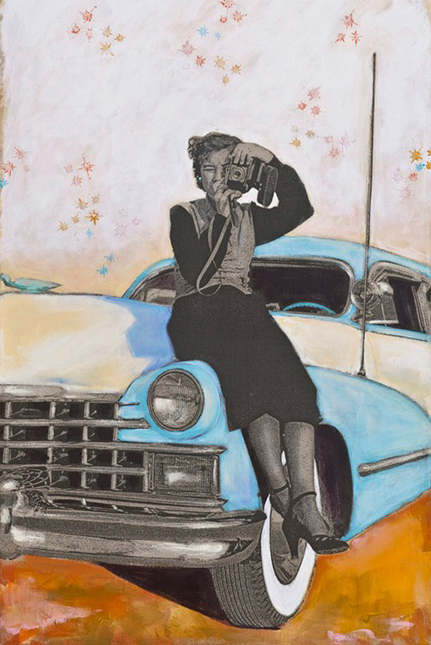 The love that people feel for their cars has rarely been so lovingly portrayed in art as it has been by Gale S. McKee in her 'The American Car: A Family Portrait' exhibit. Check it out. They stand proudly next to them. They smile at them. They touch them tenderly. 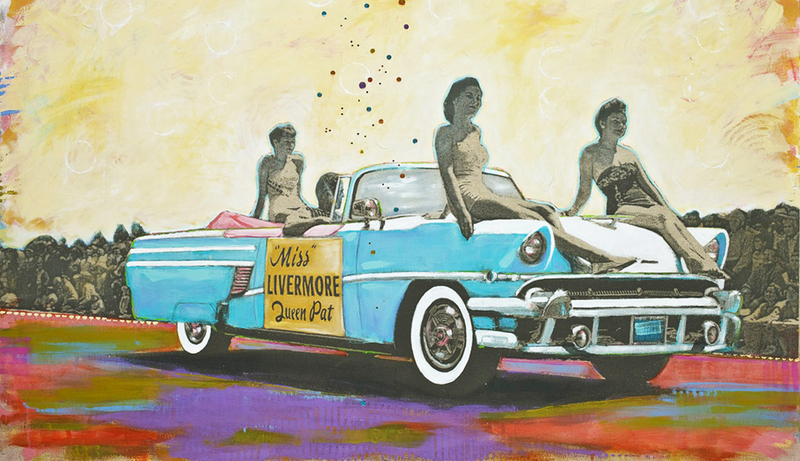 It runs December 12 through January 10 at the Marin Museum of Contemporary Art, 500 Palm Drive, Novato, with a reception 5 to 7 p.m. December 12. It should be a nostalgic, romantic show in a nostalgic, romantic place, a historic building on the former Hamilton Field, a decommissioned military base. McKee, who owns a Subaru she’s named ‘Pinhead,’ based on the letters in its license plate, is more interested in the people in the photos than the cars—though the cars are spiffy enough. McKee works by transferring the photo images to canvas, then working over them with paint—but not painting the people themselves. “They’re neutral color.” She doesn’t want the images to be simply colorized photos. McKee, who has designed for Pottery Barn and has worked in advertising and as an illustrator, has shown often in galleries and museums. She sells the paintings generally for $2,000 to $4,000. 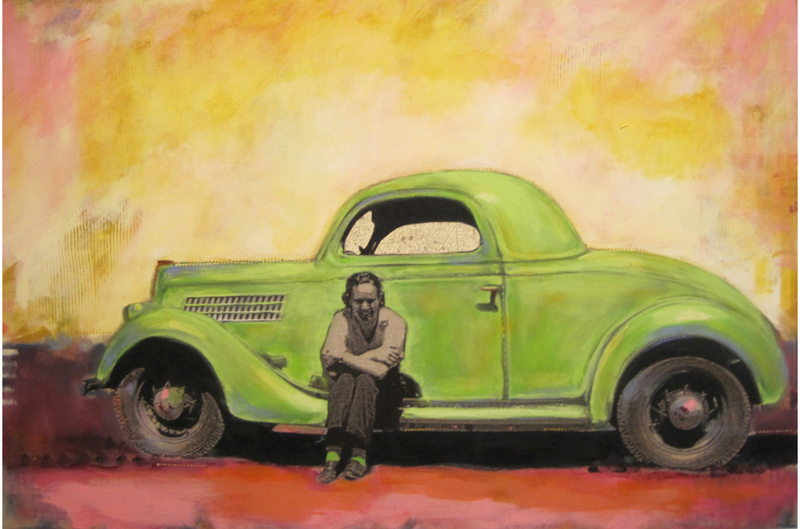 For more on Gale S. McKee’s ‘The American Car: A Family Portrait’ exhibit, click here.